When Oscar was just 4 months old, his parents took him to the pediatrician for what they thought would be a routine exam. It was as far from routine as anybody could have ever imagined – the pediatrician felt a large lump in his abdomen, and immediately referred him to Children’s National Medical Center (CNMC) in Washington, D.C. After a long and grueling day of tests, a team of doctors told Oscar’s parents something they never imagined they would hear: Oscar had large tumors in both of his kidneys, and the tumors were likely cancerous; surgery was necessary to know for sure. The following day Oscar was diagnosed with bilateral Wilms Tumor, cancer of the kidneys. Oscar’s life was forever changed that day. 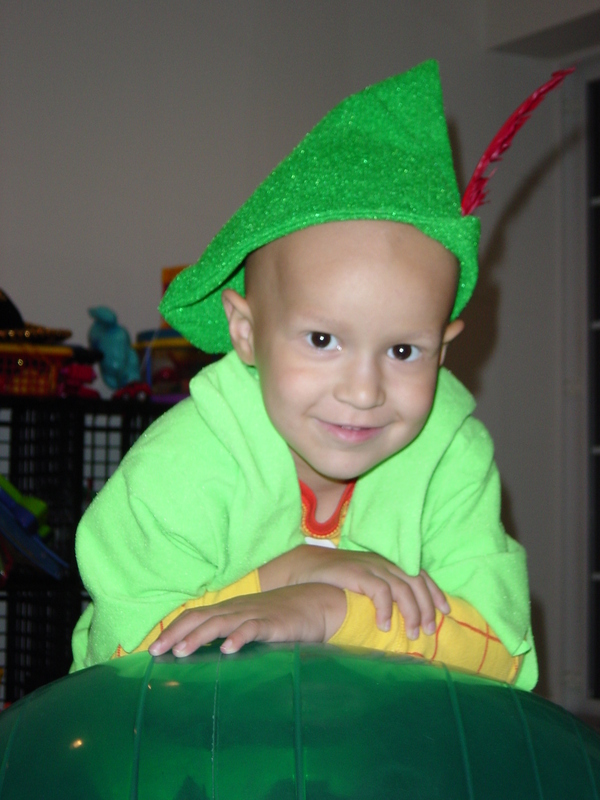 Trips to the park became trips to the emergency room, play-dates became doctor’s appointments, and instead of a soft and comfortable blanket, Oscar had a chemotherapy pump that followed him everywhere. The rigors of his treatment forced Oscar to spend many days, weeks, and months at a time in the hospital, and even when he was not admitted as an in-patient, he still received chemotherapy treatments and underwent dialysis for 8 to 10 hours at a time, procedures that confined him to a chair. 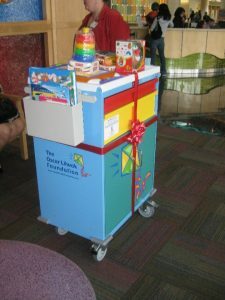 Whenever he was able, his favorite thing to do while in the hospital was to visit the playroom – he would play with anything and everything available there. Regardless of the pain or how sick he felt, he always found comfort and even a little happiness in play. Oscar fought a valiant battle against this disease and celebrated his 4th birthday in a hospital bed at Children’s Hospital Los Angeles (CHLA) in California. He passed-away a month later. There is a medical component, where doctors and nurses perform everyday miracles to tend to the physical needs of young patients, and do this with an incredible passion for science and a relentless pursuit of knowledge. There is also a psychological side to hospitalization which becomes evident when the child is completely removed from the beauty and simplicity of everyday life and is immersed in an unfamiliar and threatening environment. The emotional impact caused by this drastic change is not always addressed in the hospital environment; even some institutions that are specially dedicated to address the medical needs of children, at times overlook or inadequately address a child’s need to play. After Oscar’s death, his parents realized that this little boy’s life had a more profound meaning and purpose than just the brief time they were able to spend with him. His courage and his love for life inspired his family to create The Oscar Litwak Foundation.